I’m fangirling just the same as Lavender right now. Glasses rule! At first I thought Excella was the same thing as Dewey, but she seems more like a bee than Dewey did. Yeah, I think so too. So maybe there are many types of bug people. Stop making up animals, there’s no such thing. That’s dumb. You’re dumb. Well, those are, indeed, very stylish glasses. um.. what was it… um… oh right… um… i don’t know but i heard it before. No! Lavender x Wade will prevail! Excella and Lavender might work. 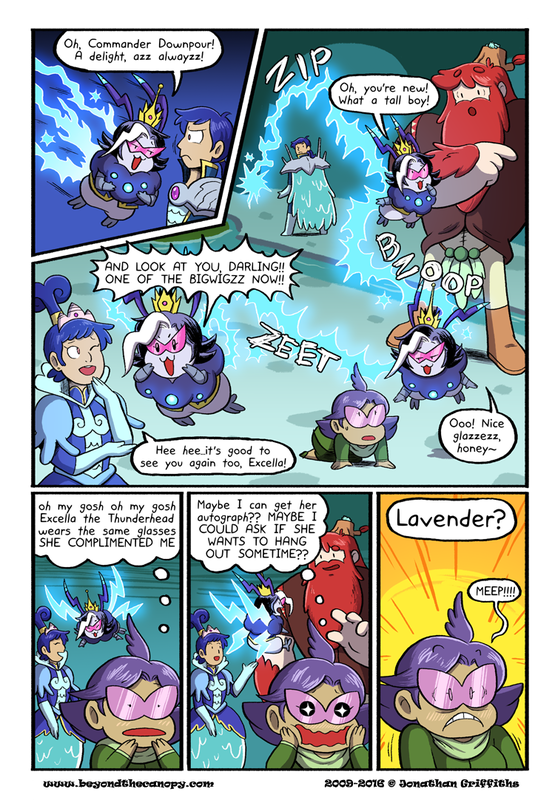 So I assume Lavender is Bi or doesn’t care/is not being held back by ZE BIGOTRY AND ZE HORROR OF ZIS WORLD or something because different rules/social norms.